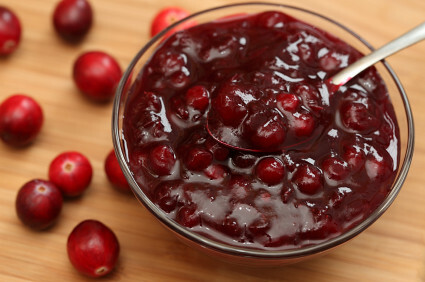 Cranberry sauce has always been part of our Christmas and Thanksgiving meals. We happen to live in an area where 90 percent of all the cranberries sold in North America are grown. As a result they are plentiful. Cranberries are one of three fruits native to North America and were introduced to the Pilgrims by the Native Americans. Ulysses S. Grant made them popular when he ordered that they be served to all the troupes during the Battle of Petersburg. Wash the cranberries. Make syrup of the sugar and water. Boil 2 minutes. Add cranberries and cook gently until berries are clear. We like to have as many whole berries in our sauce as possible.